Landscapes from Yoho National Park.The Park is host to many of Canada's most scenic locations such as Emerald Lake, Lake O'Hara, Takakkaw Falls, Natural Bridge, and Yoho Valley, which offer ample opportunities for landscape photographers to capture the best Landscapes possible. The view from the boat launch at Emerald Lake. 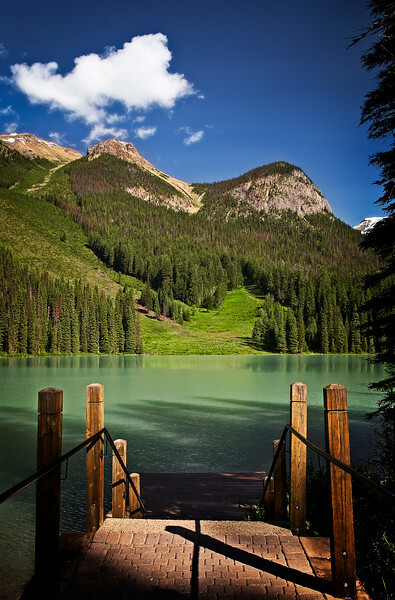 as you can see by the colour of the lake it is aptly named Emerald Lake.